Five hundred years before the birth of Jesus, a God-realized being named Lao-tzu in ancient China dictated 81 verses, which are regarded by many as the ultimate commentary on the nature of our existence. 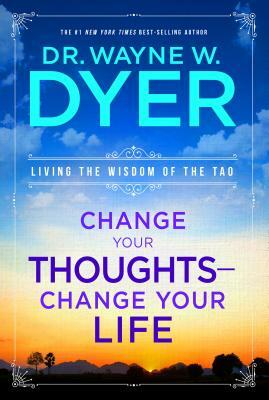 The classic text of these 81 verses, called the Tao Te Ching or the Great Way, offers advice and guidance that is balanced, moral, spiritual, and always concerned with working for the good.In this book, Dr. Wayne W. Dyer has reviewed hundreds of translations of the Tao Te Ching and has written 81 distinct essays on how to apply the ancient wisdom of Lao-tzu to today’s modern world. This work contains the entire 81 verses of the Tao, compiled from Wayne’s researching of 10 of the most well-respected translations of text that have survived for more than 25 centuries. Each chapter is designed for actually living the Tao or the Great Way today. Some of the chapter titles are "Living with Flexibility," "Living Without Enemies," and "Living by Letting Go." Each of the 81 brief chapters focuses on living the Tao and concludes with a section called "Doing the Tao Now. "Wayne spent one entire year reading, researching, and meditating on Lao-tzu’s messages, practicing them each day and ultimately writing down these essays as he felt Lao-tzu wanted you to know them.This is a work to be read slowly, one essay a day. As Wayne says, "This is a book that will forever change the way you look at your life, and the result will be that you’ll live in a new world aligned with nature. Writing this book changed me forever, too. I now live in accord with the natural world and feel the greatest sense of peace I’ve ever experienced. I’m so proud to present this interpretation of the Tao Te Ching, and offer the same opportunity for change that it has brought me."